Someone might have told you that summer was the best time to move. They’re wrong. If you’re thinking of moving long distance in Canada, autumn is the absolute best time pack up and hit the road. There’s nothing wrong with moving in summertime—the kids are out of school and there are plenty of movers available to help you carry your stuff. But waiting a few months has its advantages, too. There are a lot of great benefits to moving with King’s Transfer in Autumn, but you’ve got to do it right. In this article, you’ll find out why this time of year is great to move and how to do it the right way! The cool air, multicoloured leaves, and pumpkin-flavoured everything aren’t the only good things about this time of year. When it comes to long-distance moving, the fall is the best time of year. The summer is peak moving season; our phones are flooded, our trucks are full, and our drivers tires have turned over every stretch of highway in Canada. Our rates and availability are as competitive as any company in the country, but even we admit things are a bit jammed up in the summer months. Autumn, on the other hand, is a bit more tame. June and July are often the busiest months with the highest rates. It’s simple supply and demand. September through November see a drop in rates that makes moving much more affordable. 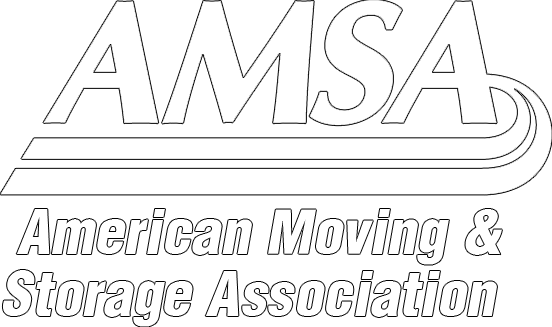 Lower Prices – As we said before, local and long-distance moving rates drop in off peak times, opening up more options to families. Many of our customers use their savings to pay for other services to make their lives easier. More Availability – King’s Transfer never has an issue scheduling our clients moves; however, you will have far more flexibility if you contact us early and plan for autumn. This makes it easier for you to plan around your new job, moving into your new apartment, and setting up your life in your new home. Easier Moves – Summer weather might be great for sitting on the beach in the Caribbean, but it doesn’t make moving easier. All of that sun makes us all sweat a lot. Cooler temperatures make for a much easier and more enjoyable move for all. If you do moving the right way, you’ll save a lot of money and make things easier in your new home. Here are some autumn moving tips to make things easier on you and your wallet. Move at the beginning of the month – Most people move at the end of the month. Move at the beginning and you’ll save money. Plan for Cold Temperatures – Colder temperatures in the autumn might make things difficult. Get your utilities on before you arrive and contact a landscaping service to get rid of the leaves. Pack Intelligently – Don’t forget that you’ll need warmer clothes. Also, pack emergency jackets in the car if you’re driving across country. Keep in mind that the cold weather could affect goods in transportation. Thinking about moving? Autumn is the best time. Contact King’s Transfer Van Lines for long-distance Canadian movers that treat your things as if they were their own!